While I’m at MALCon/Westercon this weekend, Story Games Week continues with this clever concept that places the participants in the roles of both characters within a dramatic series and as script writers (with the GM functioning as the “showrunner”). Based heavily on the concepts of Robin Laws’ DramaSystem (featured in Monday’s Pick), Frank Lee expands the concept of characters in a fictional drama series into a longer-view, ongoing and more structured experience. Welcome to Premier Series: The Roleplaying Game of Dramatic Television. Have you ever wanted to be able to play a roleplaying campaign that plays out like one of your favorite dramas on television? Now you can! 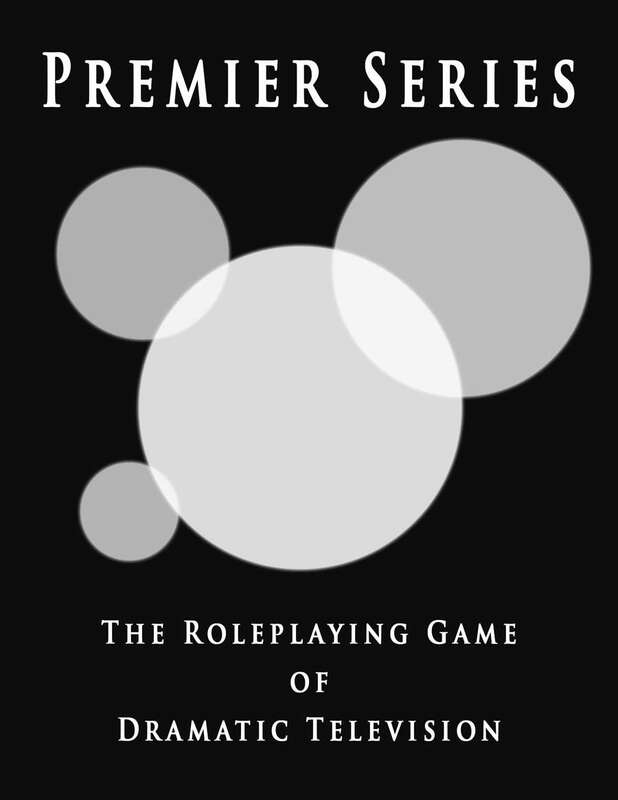 With Premier Series you will create your own “show” to serve as the world of your roleplaying game, the players taking on the roles of the main cast and series writers, with the GM working to control things as the showrunner. This book provides tools to help you create a compelling series pitch to get started, formulate on-going storylines, generate fully rounded dramatic characters, and more. Your episodic gaming sessions will allow PCs to adventure in daring action sequences, and confront each other in tense emotional struggles, all while pursuing greater goals as the series heroes or anti-heroes. Premier Series is inspired by DramaSystem written by Robin D. Laws, who opened up the concept of fictional dramas serving as a roleplaying universe. For those familiar with that game, this product has some similar concepts, but is designed around more extensive storylines and more series focused plotlines.